July 2018 Newsletter – GCubed, Inc.
GCubed has been busy! Through our strong partnership with NetCentrics, we are on a great Encore III team and are already starting to review opportunities. We are also proud to announce that we have finalized our GSA Professional Services Schedule. A General Services Administration (GSA) Schedule is one of the most valuable contracts a business can have to facilitate Federal business development. Under the GSA Schedules (also referred to as Multiple Award Schedules and Federal Supply Schedules) Program, GSA establishes long-term government-wide contracts with commercial firms to provide access to over 10 million commercial supplies and services that can be ordered directly from GSA Schedule contractors. We are grateful for our amazing team of experts, technicians, and managers for making this possible. We continue to believe that an organization’s greatest asset is its people. We are in the final stages of completing our GSA IT 70, and will have more news on that coming up! UMUC Alumni – Vernon Green Jr. Founder & CEO Vernon Green Jr., graduate of University of Maryland University College, sat down with UMUC recently to discuss his transition from the Army to the civilian workplace. He offered advice to veterans on setting themselves up for success and thriving in the civilian workplace. Watch his feature below! Learn more about UMUC’s programs for military & veterans here. 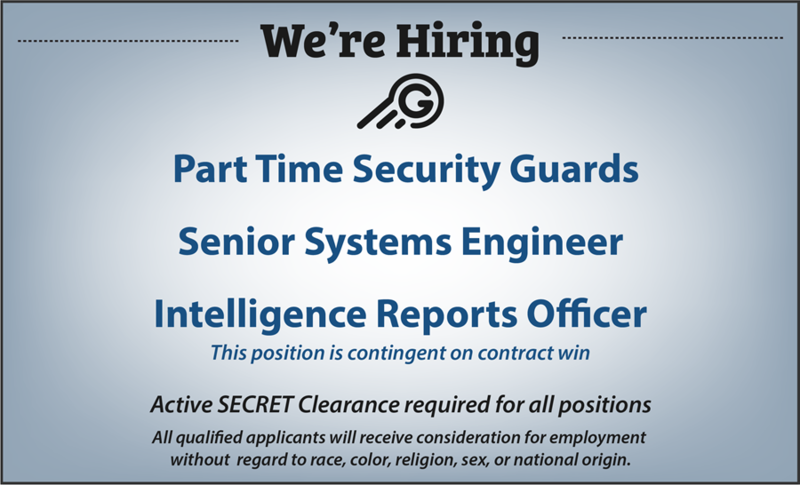 Apply today or contact Nicole Albertson for more information. I am GCubed’s Project Manager, overseeing quality assurance and maintaining compliance with our customers. I oversee the security guards who are part of the GCubed Security Services team at the Center for Army Analysis on Ft. Belvoir. Problem solving, documenting progress, and maintaining daily communications between the guards and the corporate office is an average day for me. While most of my time these days is spent working, maintaining a healthy diet and exercising regularly are important to me. I’m an animal lover and have bred and raised dogs in the past; I hope to have more time to care for a dog again soon. I also have a background as an auto mechanic. I value being prepared and staying organized, allowing me to be ready to tackle any task that comes my way. I am pleased to say that I am respected and valued by my peers, as well as supervisors. As GCubed works to expand its security services to new locations across the nation, I look forward to playing a role in that effort. 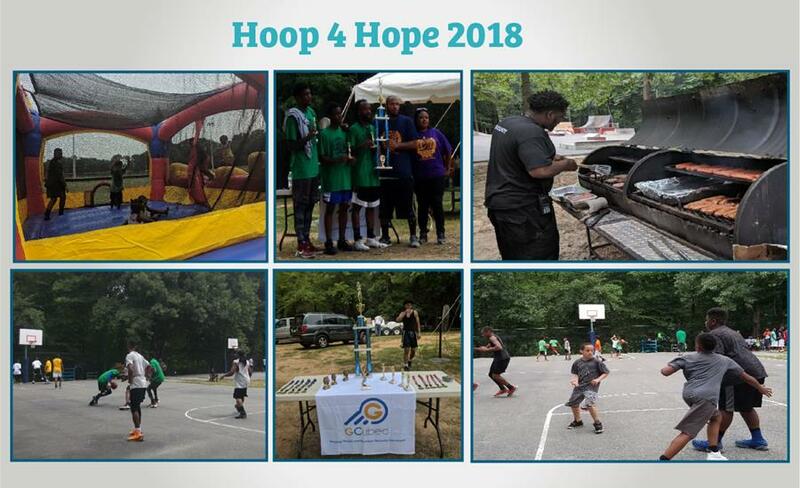 Hoop 4 Hope – a Slam Dunk! This event was about more than basketball games and who won; it was about the relationships and trust built within the community. Children were provided a safe environment in which to develop strong social skills and build lasting relationships. Our greatest source of pride is when we are given the opportunity to build and give back to the community. The day was a tremendous success, with the community coming out and enjoying not only the basketball games, but face painting, moon bounces, water balloons, and a DJ. Riddick Entertainment provided the grill and volunteers who prepared the food. State Farm joined us and raffled off some great items. Slammin Cuts organized the 3 on 3 tournament and provided the DJ. We look forward to continuing to serve our community! Come and join us for some family fun! This free event features food trucks, live music, vendors, and fun activities for children. We are proud to be a sponsor of this event. Details here. Back to school time is almost upon us, and with that comes a financial struggle for many local families. We are collecting school supplies for local children from now until August 8th. Contact Marlo Parker for details. The EYM program touches on personal responsibility, education, dream building, and the importance of foundational core values. We meet every third Sunday of the month at the Stafford County Sheriff’s Office from 4pm-6pm.